It takes some serious adjustment and leeway to esthetics. It will look lie baby-food but taste better. But cooking onboard Dawnbreaker over the next weeks will have to be simple and straight forward. 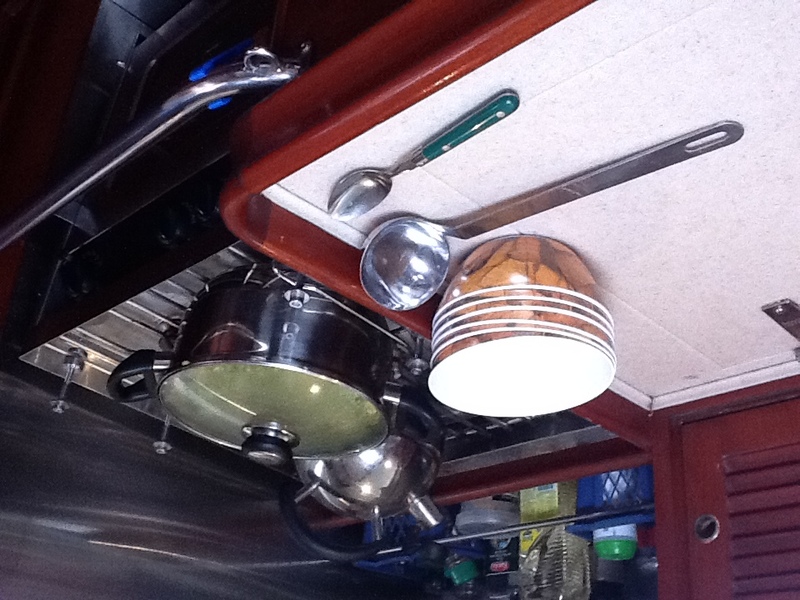 Basic equipment: large casserole, lid, kettle, ladle, bowls and spoons. Lamb of course will be loaded at Falklands and seafood along the Patagonian coast.